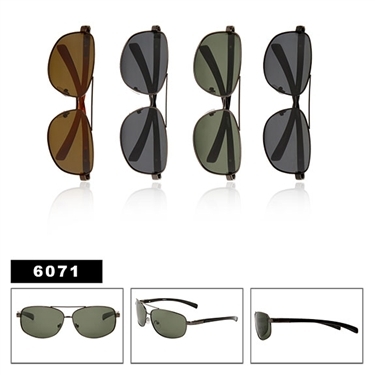 Polarized Aviator Sunglasses with Spring Hinges! Assorted colors & tints in every dozen! This is a very nice new model, sure to sell quickly, order soon!